What are your favorite colors for the holiday season? I'm asking for an iPhone 4! 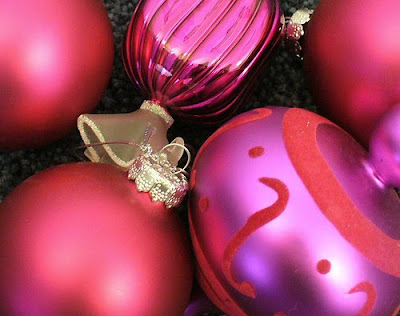 I'm not a huge fan of pink, but these decorations look great! I just posted my wishlist for Christmas! Instead of one big gift I'm looking for a few smaller gifts. 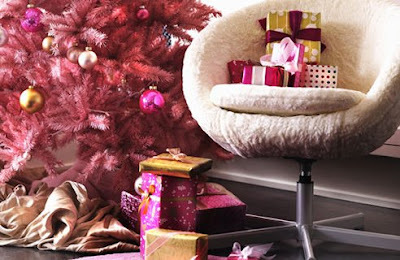 A pink Christmas sounds like a FABULOUS idea! My grandma makes the best Peanut Butter Cup Cookies that are PERFECT for the holidays. I'll have to email you the recipe! Mentioning your amazing in my next blog post! I would love to receive my first pair of hunter boots and a rebecca minkoff MAC clutch! I saw these boots at pink the other day and fell in love! One particular thing I am asking for is a larger purse because my cross-body bag is too tiny to carry all my stuff! My favorite cookie recipe for the winter is: Peanut Blossom Cookies! the pink decorations are so pretty! I want one of those vitamix blenders... kinda lame but I think they are awesome!!! 2. Combine flour, sugar, salt and coconut in mixing bowl. 3. Stir in egg whites and almond extract. 4. Stir in almonds, mix well. 5. Drop teaspoon fulls onto a greased cookie sheet. 6. Bake 20 minutes or until golden brown. Coconut-y goodness - and super easy! sorry - I hope i'm doing this right! I would love a pair of leather boots. I'll be going on vacation for the holidays, so that's the gift I wanted. Hey hey! I really want an Ipod Touch. 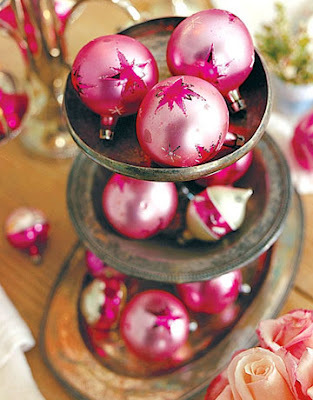 I love the pink slipper ornaments, so cute and classy. my favorite color at christmas are white. It looks so pure. The pink is lovely though. I'm asking for a Kindle this year. I really really want a Green Apple Kitchenaid. What am I asking for this year? I want a point and shoot camera. 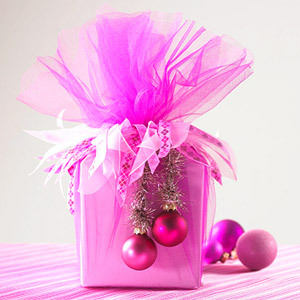 Love Pink stuff for Christmas time! Great giveaways! I really want to get the Olympic toque and scarf ... I already have a pair of mittens. Other than that my list is pretty similar to every year ... gift cards, socks, etc. I asked for an Ice Cream maker.. I am determined to make my own ice cream! I can't like, I WANT these. So adorable. A special gift I want is a professional camera...well it is no secret! I am asking for a new pair of Born shoes, a cute diaper bag, and a nice fleece! This year I'm asking for a Rebecca Minkoff bag, I really hope Santa hears me! My favorite holiday cookie is gingerbread- nothing super fancy, but always delicious! 1) Sift together the flour, baking powder, ginger, nutmeg, cloves, and cinnamon; set aside. 2) In a medium bowl, mix together the shortening, molasses, brown sugar, water, egg, and vanilla until smooth. Gradually stir in the dry ingredients, until they are completely absorbed. Divide dough into 3 pieces, pat down to 1 1/2 inch thickness, wrap in plastic wrap, and refrigerate for at least 3 hours. 3) Preheat oven to 350 degrees F (175 degrees C). On a lightly floured surface, roll the dough out to 1/4 inch thickness. Cut into desired shapes with cookie cutters. Place cookies 1 inch apart onto an ungreased cookie sheet. 4) Bake for 10 to 12 minutes in the preheated oven. When the cookies are done, they will look dry, but still be soft to the touch. Remove from the baking sheet to cool on wire racks. When cool, the cookies can be frosted with the icing of your choice. I am asking for a pair of ankle boots from Victoria's Secret! They are made with crystal and satin and look fabulous! And of course you are on my blogroll! I want a Tiffany's Bracelet! I've wanted one forever! I love this giveaway!! The shoe ornaments are so cute. already following..just asking for a new watch, new boots and perhaps another eurrail pass to do some traveling next semester! In a large bowl with an electric mixer, cream the cream cheese and butter until smooth. Add the egg. Then beat in the Nutella and vanilla extract. Mix in the cake mix. Cover and refrigerate for 2 hours to firm up so that you can roll the batter into balls. Roll the chilled batter into tablespoon sized balls and then roll them in powdered sugar. Place on an cookie sheet lined with parchment. Bake 12-14 minutes. The cookies will remain soft and gooey. I just came across your blog! I love it! 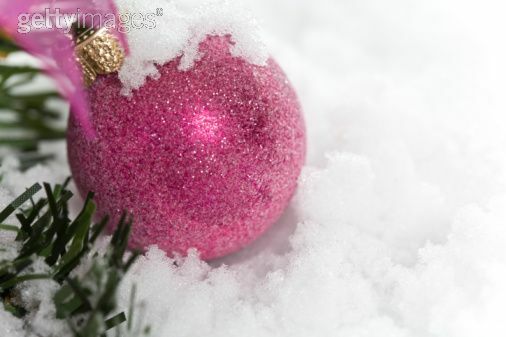 I also love the pink themed Christmas! Very trendy! I went ahead and did the traditional red and green, but only cause it matches my decor anyway! My fav cookie recipe during the holidays is baking peanut butter cookies then placing a hershey kiss on top! It is so yummy! I'm a follower! The special gift I'm asking for this year is anything wedding-planning related - I need all the help I can get!! I'm asking for a new camera for Christmas. I think it might be a long shot :) I love the VS Pink line though! Woman I LOVE your blog. I am your newest follower. I already got my Christmas gift this year ha...a leather jacket! I am posting your giveaway on my blog! I'm wishing for Barefoot Contessa's new cookbook for Christmas. Follow the Chocolate Chip cookie recipe on the bag of Nestle chocolate chips, but replace the chocolate chips with red & green M&Ms. Super yummy, festive and easy. I always make these when I need something quick for a party. Love the idea of a pink Christmas -- so fun! Love all of the pink and black!!! I follow as Thifa and I've been looking forward to new *good! * handcream. I'm just asking for a pair of Sperry Topsiders...that's all! I love the Christmas decorations that are a pale, frosty blue. They remind me of glassy, frozen lakes and snowflakes and clear skies and more! The pink is adorable though! what a great givaway!!! I'm asking for a kindle for Christmas!!! here is the link to my favorite christmas cookie recipe! I follow your blog and you're on my blogroll! I asked for Tiffany earrings this year! Nice! I follow you via Google Reader (saraara[at]gmail.com). I also love Peanut Butter Treats (just sent you the recipe). And, mentioned this giveaway on twitter. i love all of the pink christmas items! too cute! hope you can participate in our Merry Mondays- next week's theme is MINT! I am not the best baker in town, I just get the Sugar cookie mix. Throwing a chocolate kiss in the middle prior to baking tastes yummy! You're on my blogroll. For Christmas this year I really want a pair of Hunter rain boots. Pink is definitely my favorite color! 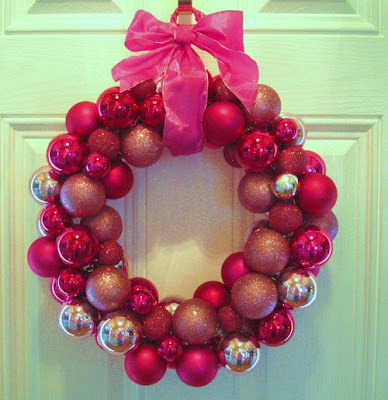 I love the ornament wreath that you have in this post, I'm going to try to make my own via Eddie Ross directions...we shall see how it turns out! I also love your shoe tree, so cute!! I'm asking for a food processor for Christmas! I need one for all the recipes I want to make. 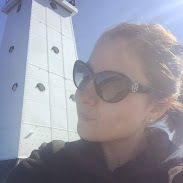 Your blog is on my blogroll! And I got your smoothie coupons today--thanks so much!! Every year I look forward to getting Wegmans gift cards. It's a win win since I love to spend Saturday afternoons just wandering around in the store and could easily spend $200 is one shopping trip. Uhm... it's not really a recipe but my favorite holiday cookies are those pillsbury ones you buy from the stores with the different holiday shapes on them. Those things are crack. Yes! am asking for a new camera as mine is crap so I post pics on my blog from the blackberry! and I will send you my fave candy cane cookies recipe! My favorite cookie recipie isn't really a holiday cookie but I love White Chocolate Macadamia Nut Cookies. I go a bit lighter on the nuts! Is there any special gift that you are asking for this year? I really want a pair of UGG boots, but I asked for new running shoes from the hubby. And you're already on my blogroll! I'm asking for socks like this, for real!!! I hadn't seen these though!